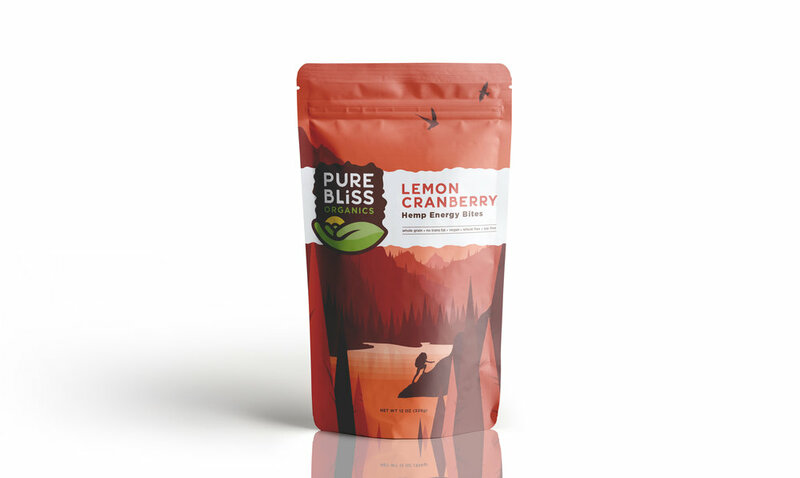 Jon Morgan & Antonio Da Costa, chefs and health enthusiasts, created Pure Bliss Organics; Dedicated to creating organic foods that can nourish the body and soul. We were tasked with building the brand from the ground up. The identity was intended to convey rolling hills meeting the rising sun, while also creating a hand that is giving an offering. The organic outline is a reference for coming from the earth. The packaging shows a blissful scene in nature to continue the conversation of wholesome, natural ingredients.